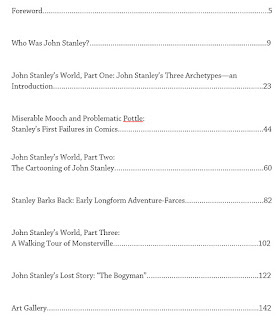 I am pleased to announce the publication of my new book on John Stanley. The Tao of Yow includes revised versions of three of the acclaimed "John Stanley's World" essays from this blog, alongside four new pieces. 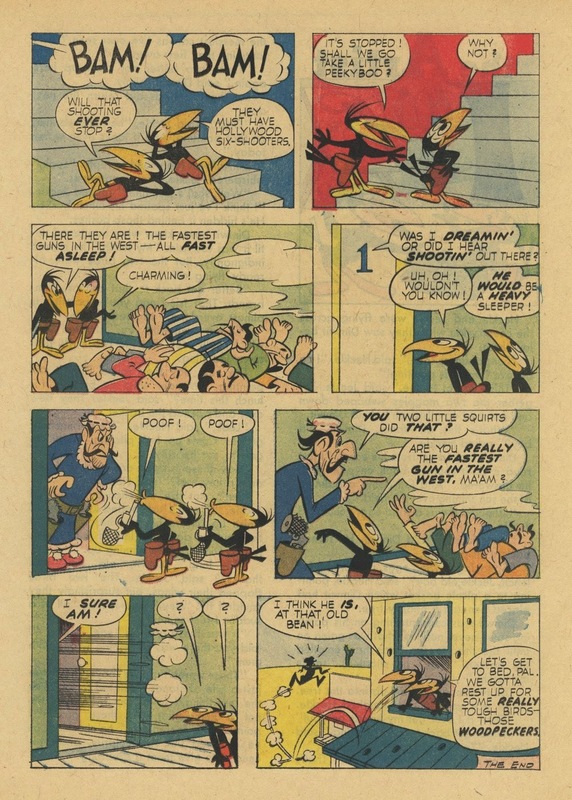 All are profusely illustrated in full color with images from printed comics, production materials and rare promotional items that have sat, unseen, for over half a century. 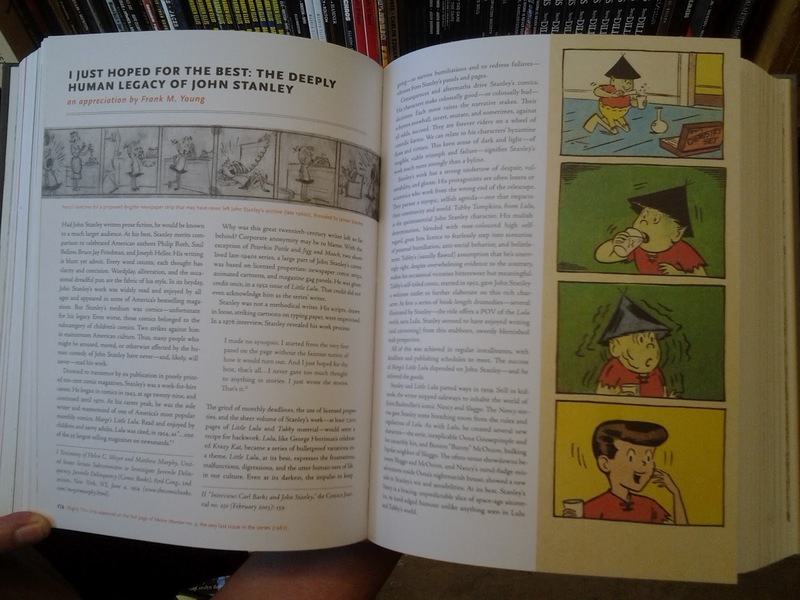 This 154-page, 8 x 10" softcover, professionally bound and printed through the Createspace print-on-demand program, is designed as a companion to my three-volume bibliography of John Stanley's work in comics. Since those books are mostly data, they left little room for the type of material in The Tao of Yow. Given the impermanence of the Web, in which a long-established site or blog can vanish overnight, it seemed like a good idea to commit some of these pieces to the printed page. 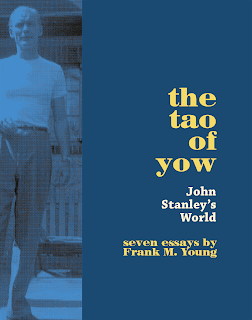 The Tao of Yow: John Stanley's World may be purchased on Amazon at this link. 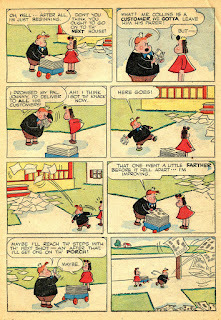 This will, I hope, be the first in a series of books that collect, expand and revise my work on this long-running blog. To study and catalog the ephemeral is to constantly face the option that the work is never complete. The historian's version of wash-the-car-and-make-it-rain is publish-and-new-things-will-appear. 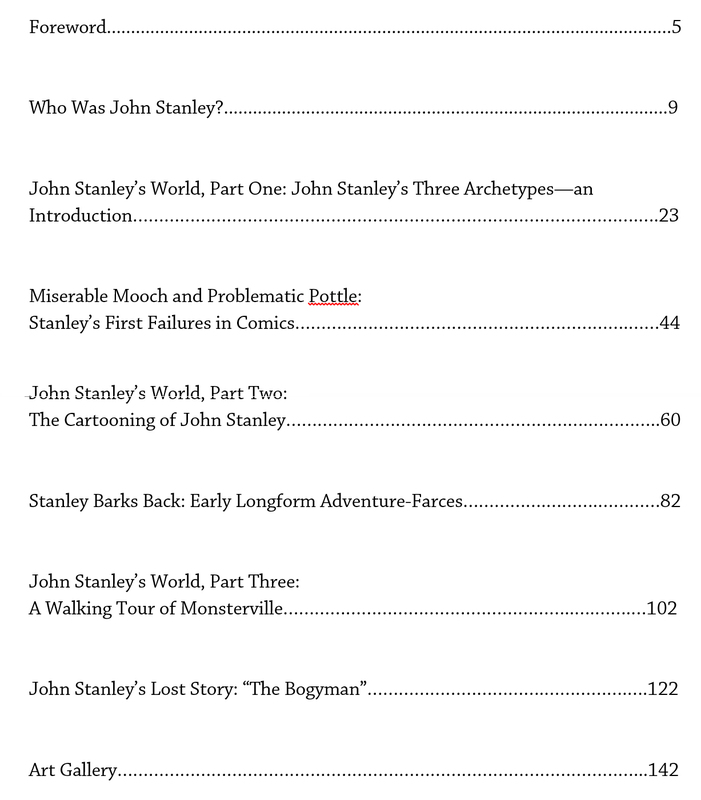 As I published the print editions of my three-volume, annotated John Stanley comics bibliography, I had a gut feeling that there was at least one story that had evaded me. 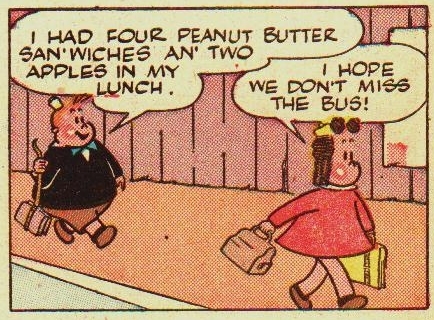 Indeed, there were three. 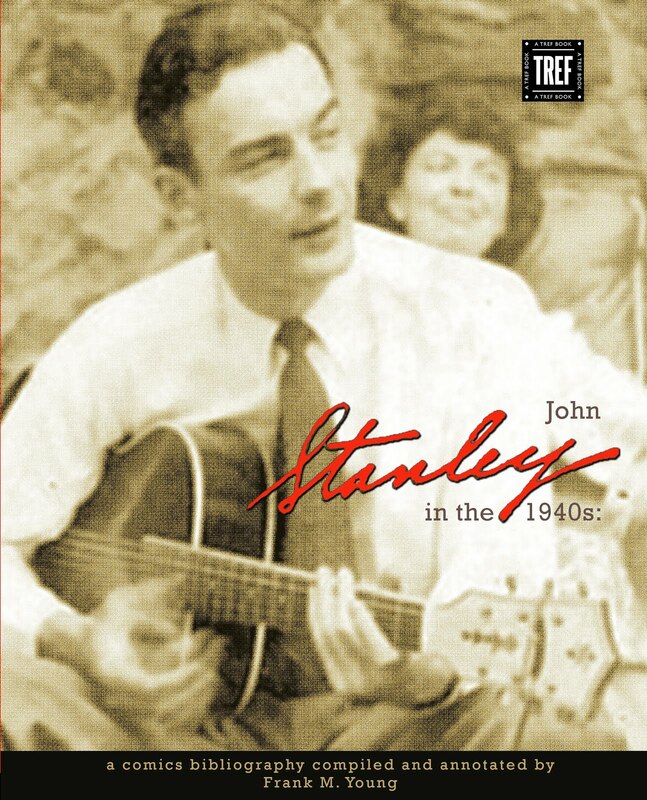 As more is known about the career of John Stanley, our view of his work has changed. 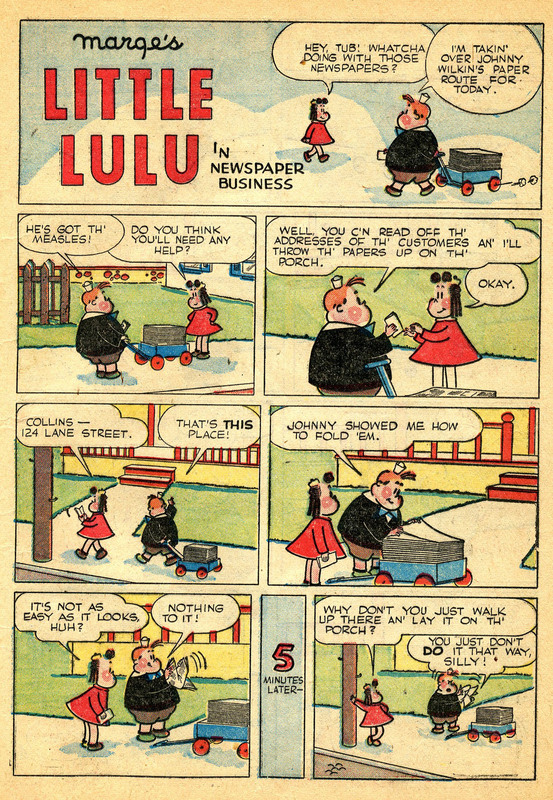 No longer is he the infallible writer of Little Lulu, and Lulu alone. 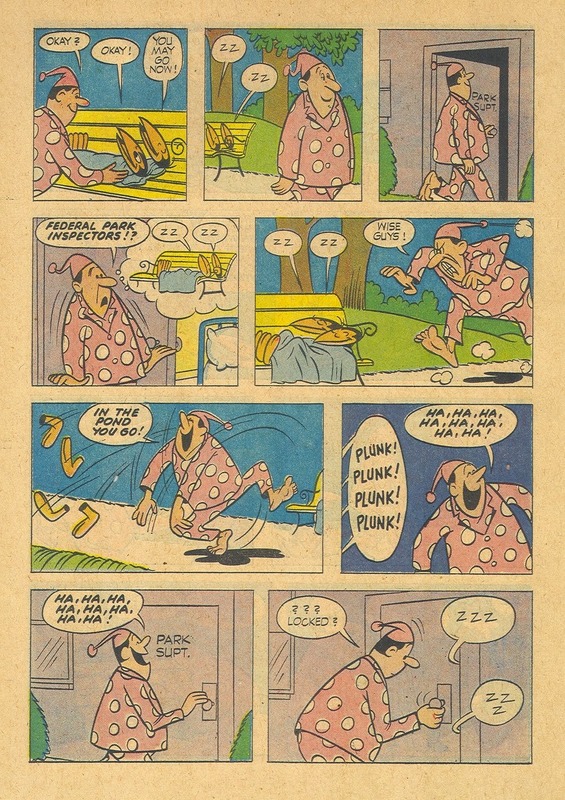 I can take some credit in unearthing the breadth of his career, but many of my finds were preceded by others' wild stabs and guesses. 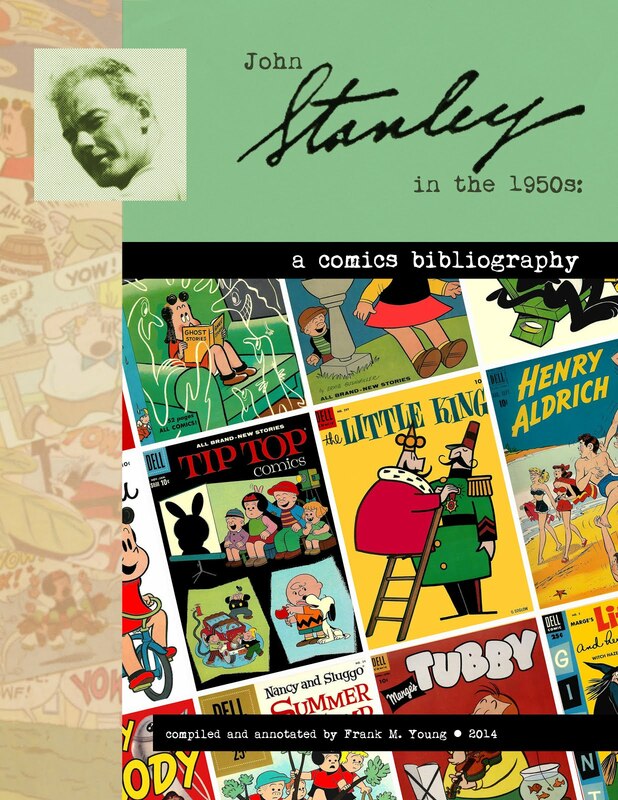 With this new information, some voices now decry Stanley's work--especially his late efforts. 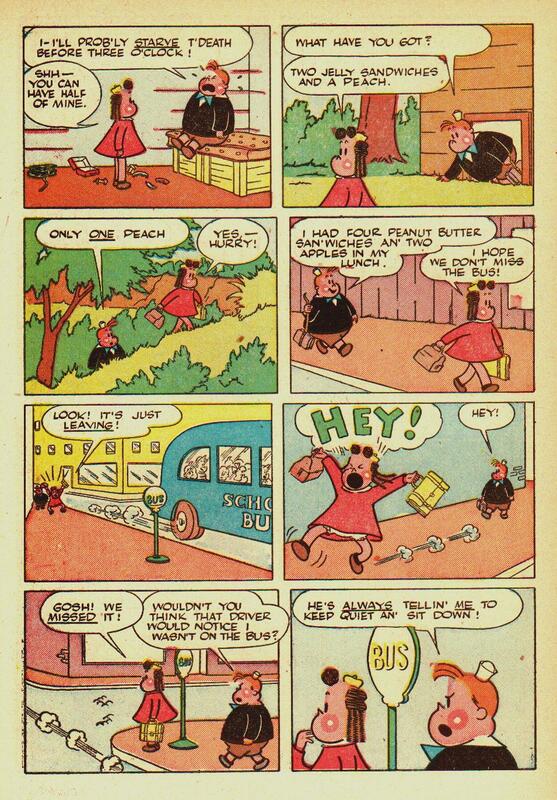 Every author has his/her champions and detractors. 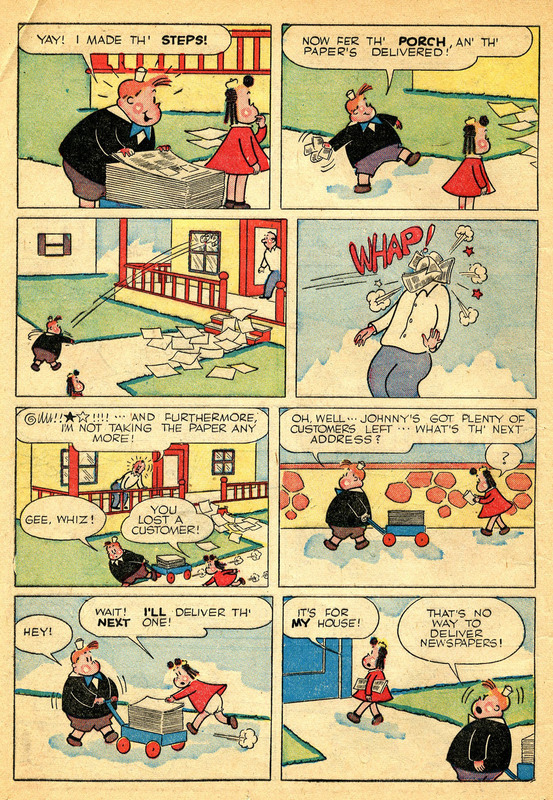 Stanley's work from 1956 on invites controversy and discord. 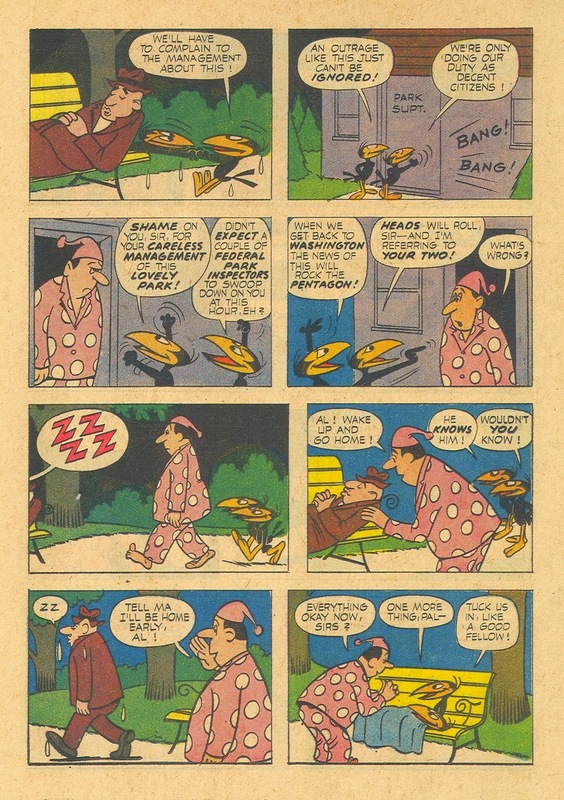 Though many admire his late "auteur" comics, Thirteen Going on Eighteen and Melvin Monster, an equal number despise and dismiss those as the "exhausted" efforts of a bright light now burned out. 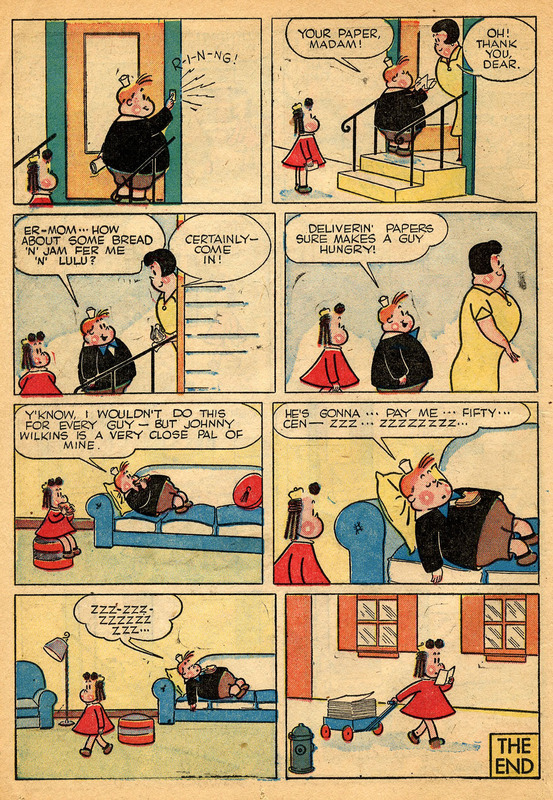 I agree that Stanley has a burnout period--between 1956 and 1960--but challenge any claims that his post-1960 work is lesser or "exhausted." 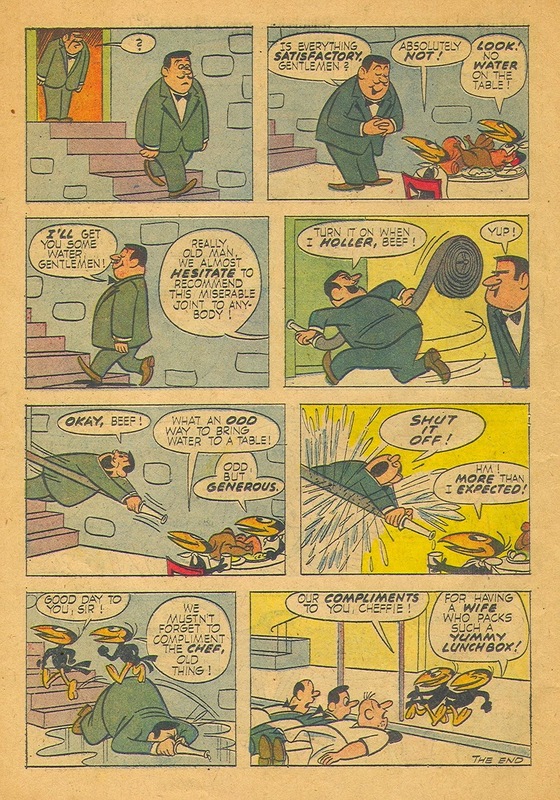 The late 1950s were a tough time to be John Stanley. 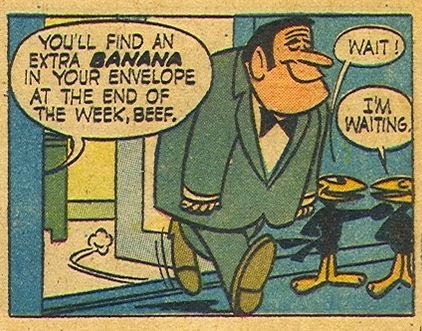 He had overstayed his time on Lulu and Tubby, but could not leave either title, due to the need to make a living. 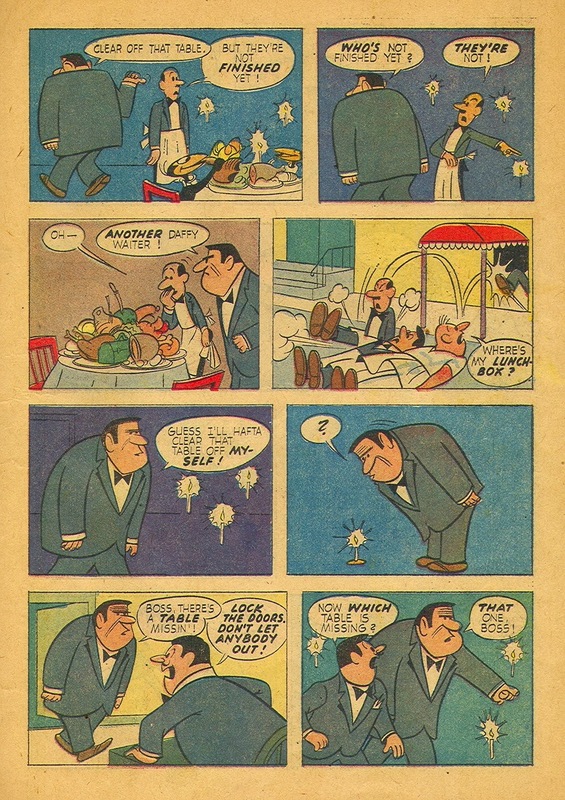 It's telling that he drops his other sideline projects--Krazy Kat and The Little King--in 1956. 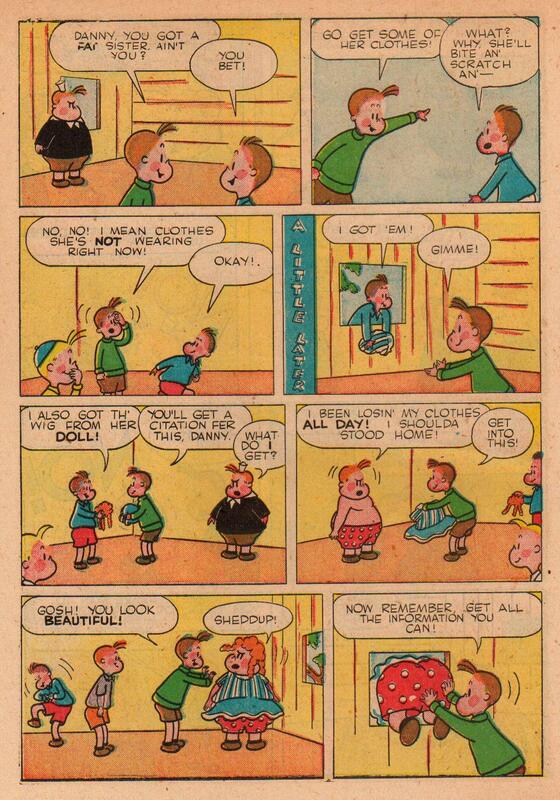 His writing approaches its lowest ebb in the next few years. 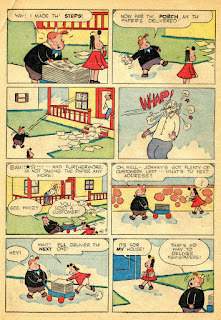 The craft of his writing, developed over thousands of published stories, gives his work an unerring, professional gloss. 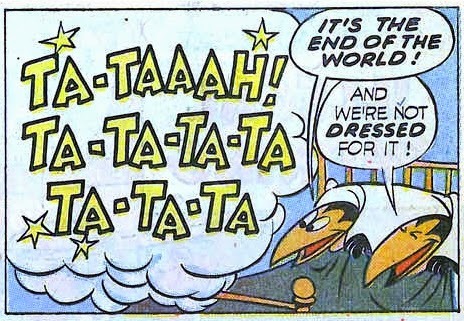 His sense of the absurd was too strong to ever leave his work. Yet the stories of this period have a harsh, mechanical tone, and, at worst, a grouchy disdain. 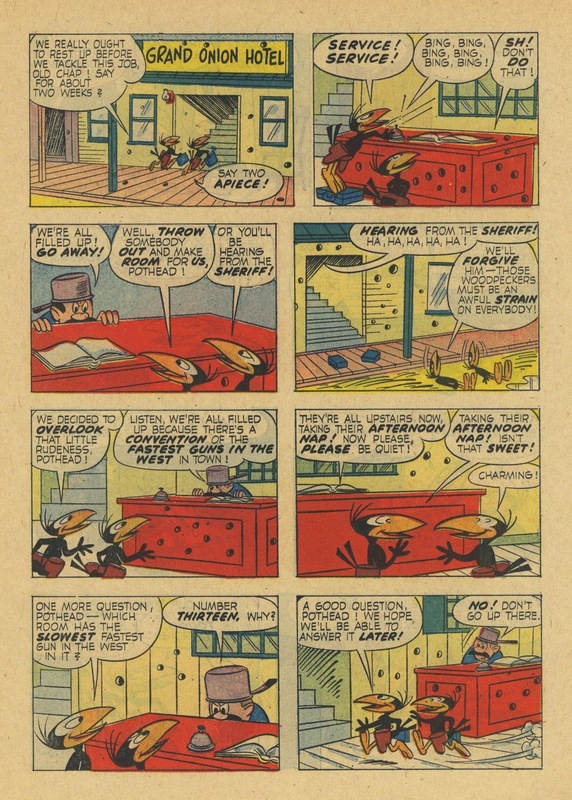 Much of Stanley's 1957-1960 work feels like it was written by a man with a migraine, or a bad hangover. 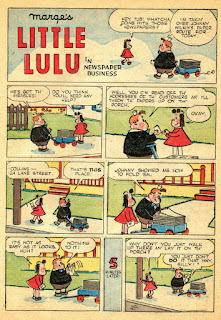 There are transcendent moments in this era--the Oona Goosepimple stories in Nancy and Sluggo, and isolated spikes in Lulu and Tubby--and it can't be flippantly dismissed. 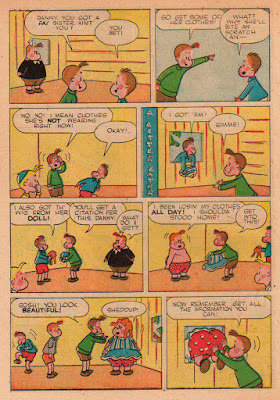 Nor can it be approached as great material. 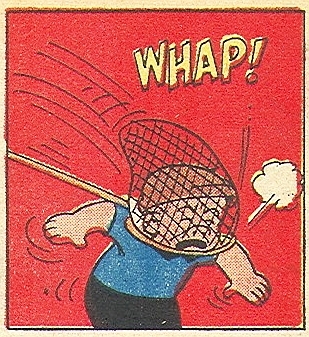 It is, like much of mainstream comics, the output of a hard-working pro who has fallen out of love with his characters. 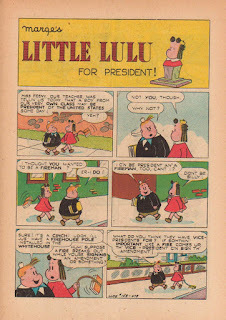 By the time of his divorce from Little Lulu, Stanley had nothing to give its cast of characters, its familiar settings, its time-honored themes. 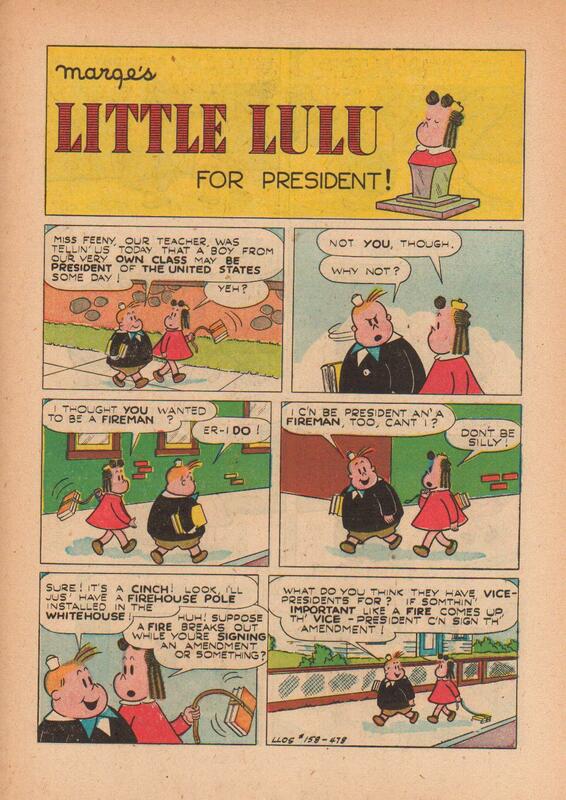 The bilateral move to Nancy, which occurred before he was through with Lulu, did nothing to help. I've written plenty about this period elsewhere on this blog, so I won't repeat myself further. 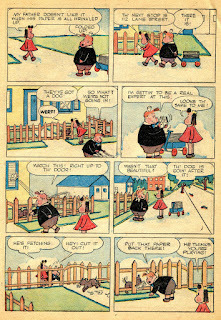 During the Nancy period, John Stanley wrote his last group of funny animal stories for two Dell titles sourced from the Paul Terry studio's animated stars. 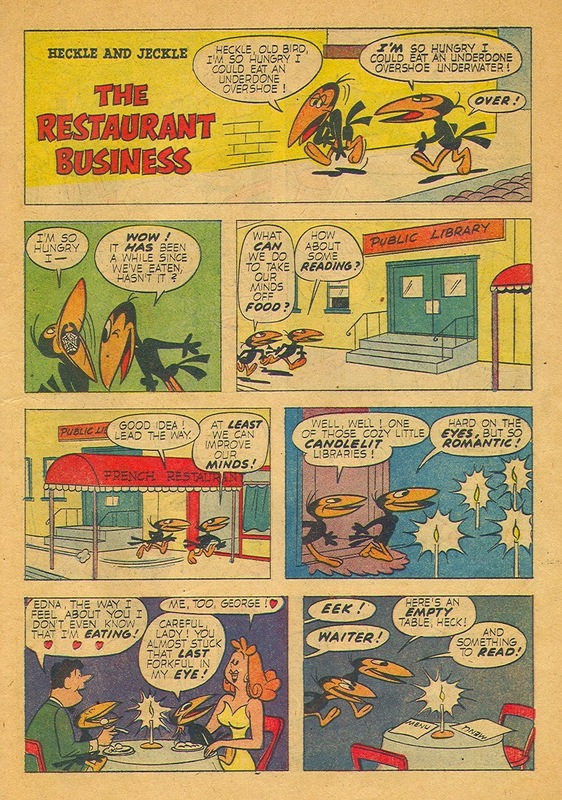 He wrote stories featuring the old-school wise-asses, Heckle and Jeckle, and some based on newer entities--the neurotic Silly Sidney and the TV-only Deputy Dawg. 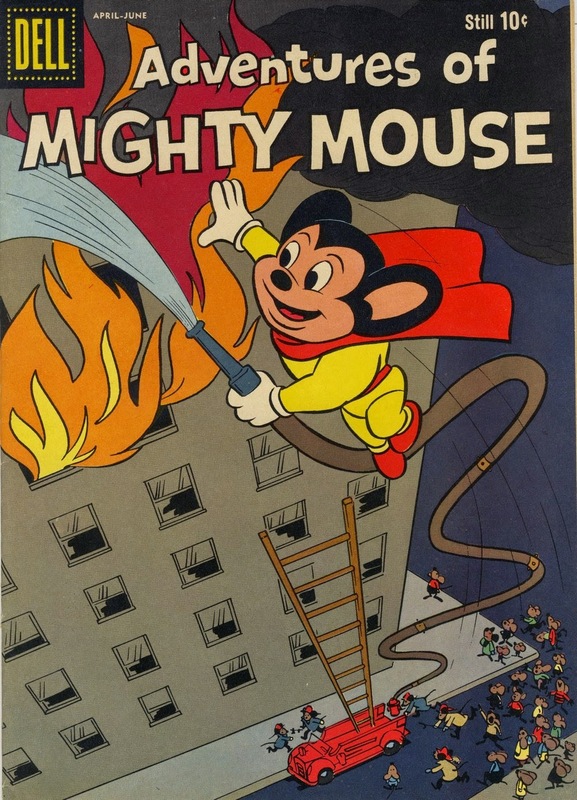 Stanley's first Terry stories were tucked away as filler in Dell's continuation of the long-running Adventures of Mighty Mouse comic book. 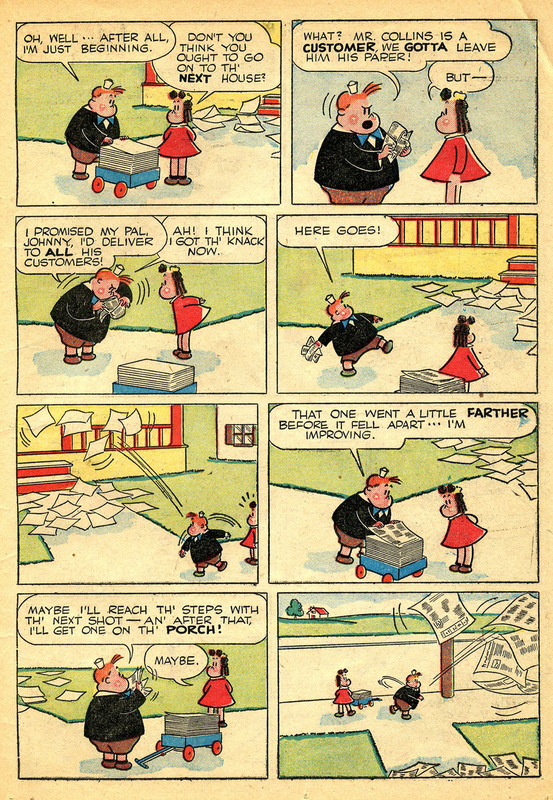 Dell adopted the numbering of Pines' series, which was taken from prior publisher St. John's. 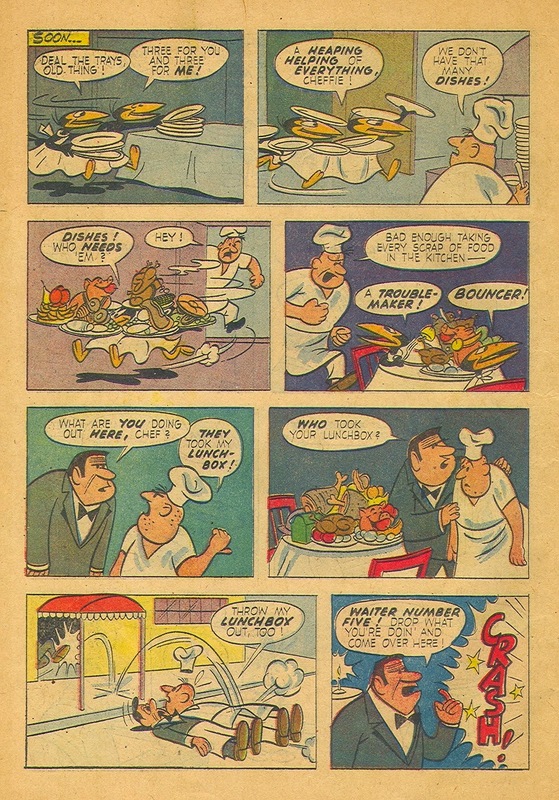 They converted the Paul Terry's Comics and Stories title to AoMM. 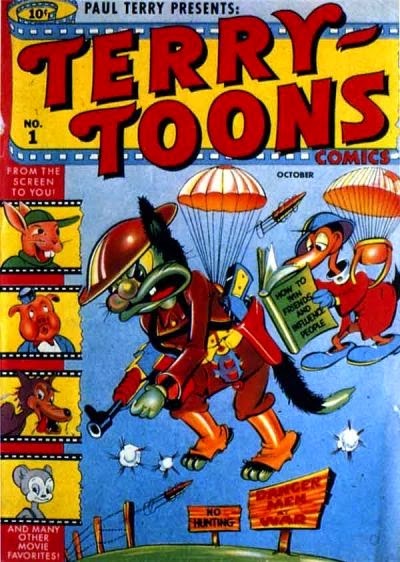 This title began its run at Timely Comics, as Terry-Toons, and despite a few overlapping/repeated issue numbers, the sequence continued from the Timely title's debut in 1942 to its final Dell incarnation in 1968. 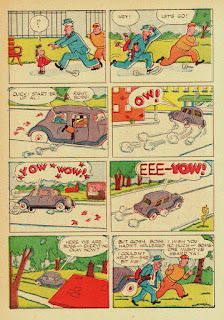 Dell's first sequence, referenced in today's post, continued when Western took its licenses to its new imprint, Gold Key Comics. 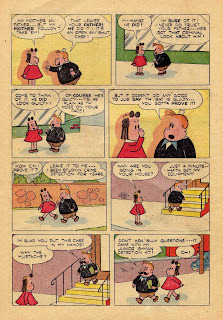 Sans the "Adventures of," Mighty Mouse continued, with the numbering intact for another five issues, at which time Dell got the Terry license, and published Mighty Mouse where Gold Key left off, until late 1968. Five publishers, 26 years. Confused? 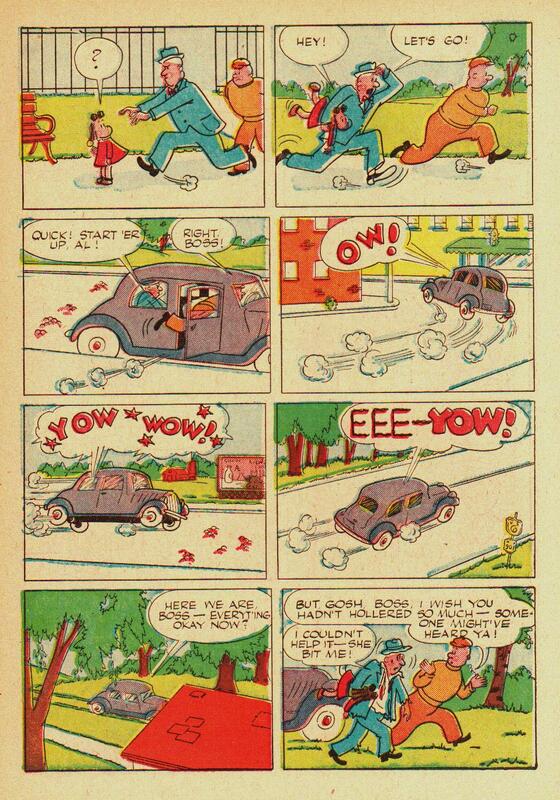 Comics history is full of these tangled trails. 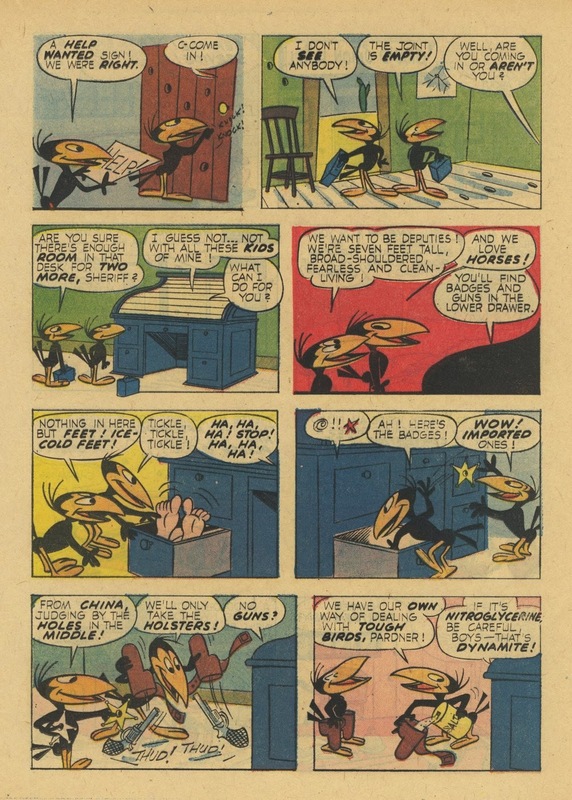 Stanley wrote three witty, energetic "Heckle and Jeckle" stories for issues 146-148 of the Dell AoMM. 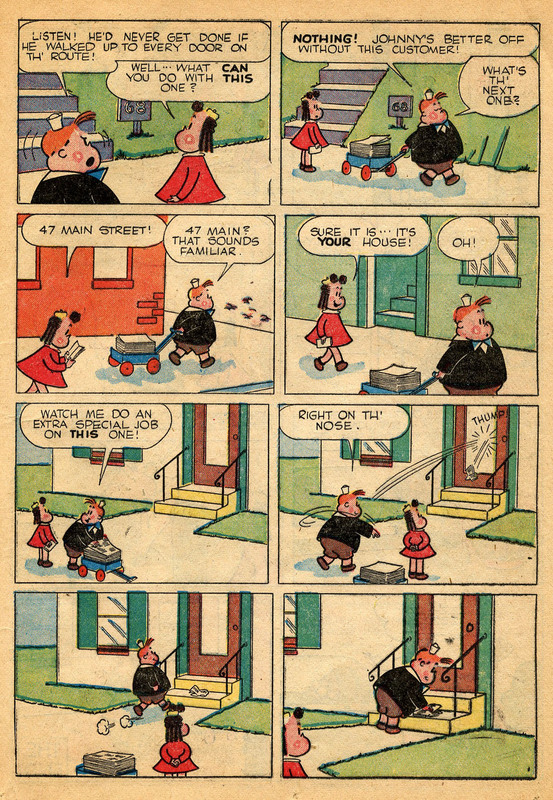 These are amidst his Nancy and Sluggo issues, and the stories share a like vibe, from vaguely similar designs of secondary characters to a scrappy, highly reflexive wit that recalls the TV sitcom humor of Max Shulman and Nat Hiken. 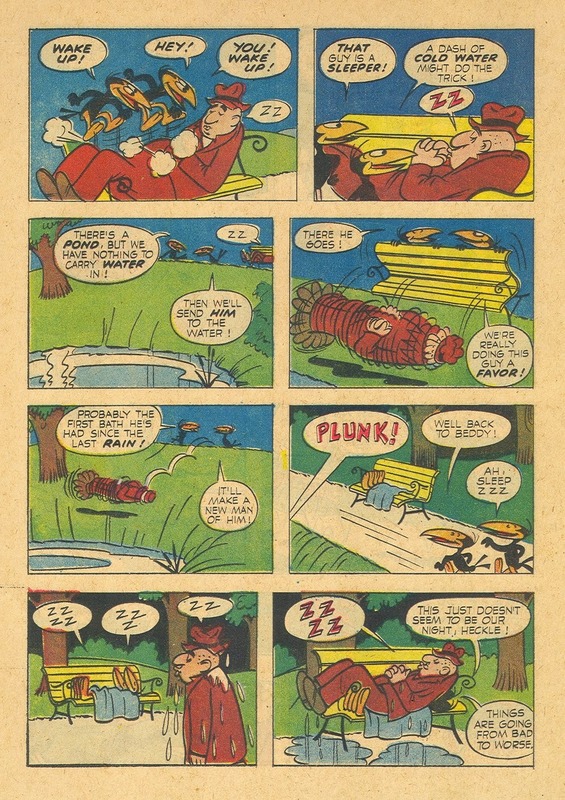 This suite of three stories is an example of Stanley the steam-engine, blowing off frustration and anxiety with the help of impish, Tubby-esque figures. 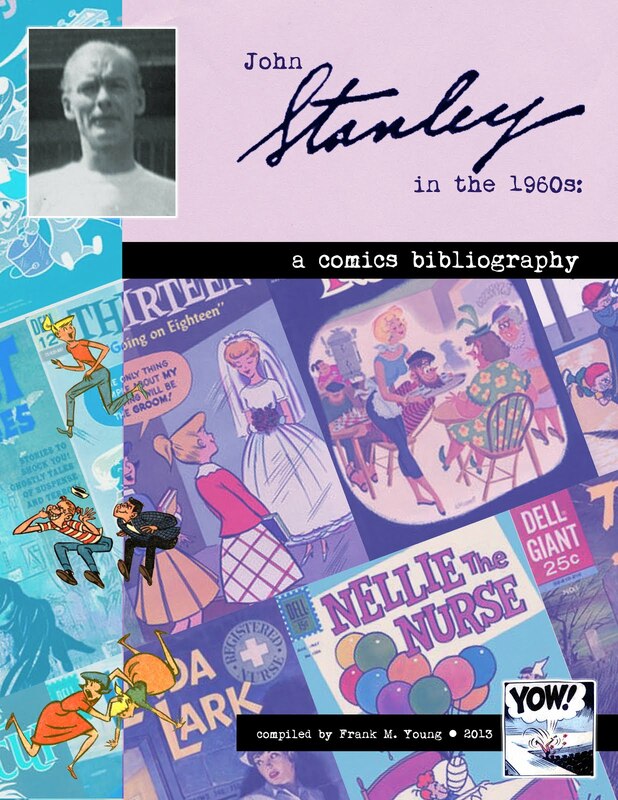 This personality type--headstrong, quixotic, misinformed but sure of their rightness in all things--is Stanley's archetypal character, and under its aegis he functions best as a comedic writer. Stanley's hand as artist is strongly felt in these stories. 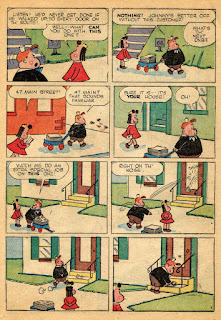 The finishes are by another artist (perhaps Lloyd White?) 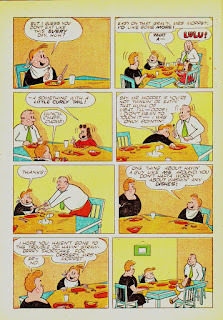 but the lumpen human figures are instantly recognizable as their author's work. 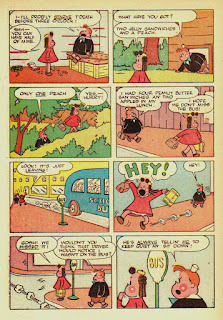 The beat cop, park superintendent and hotel clerk in the last story here, "Illegal Parking," are approximations of McOnion, the passive-aggressive threat monster of Nancy and Sluggo. 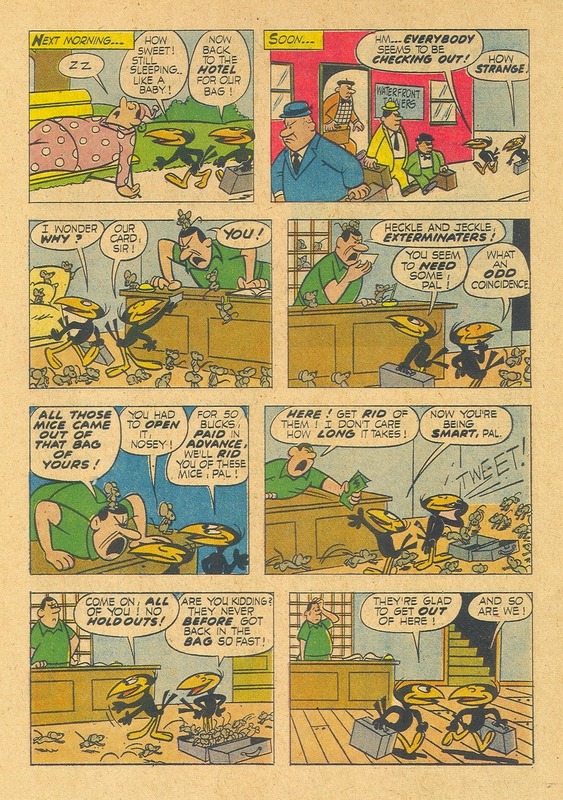 Said characters also compare with the human figures of the much later O. G. Whiz #1 seen HERE and HERE). 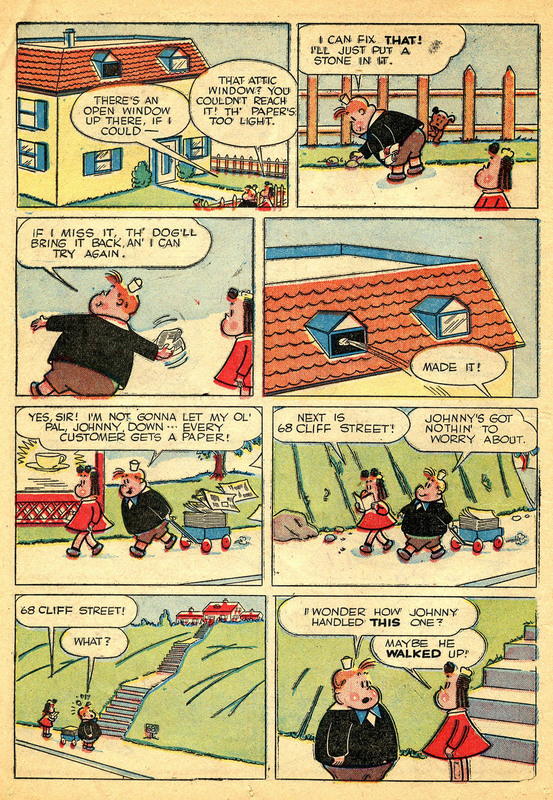 Here are the three H&J stories from this short-lived, whod'a-thunk-to-look-there Dell Adventures of Mighty Mouse, in their publication order. 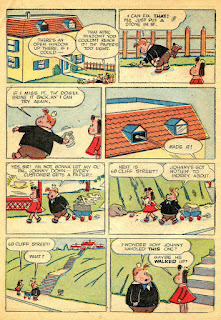 Sharp Stanley Stories readers will recall that I once mis-attributed the first two of these stories to a 1969 publication date. 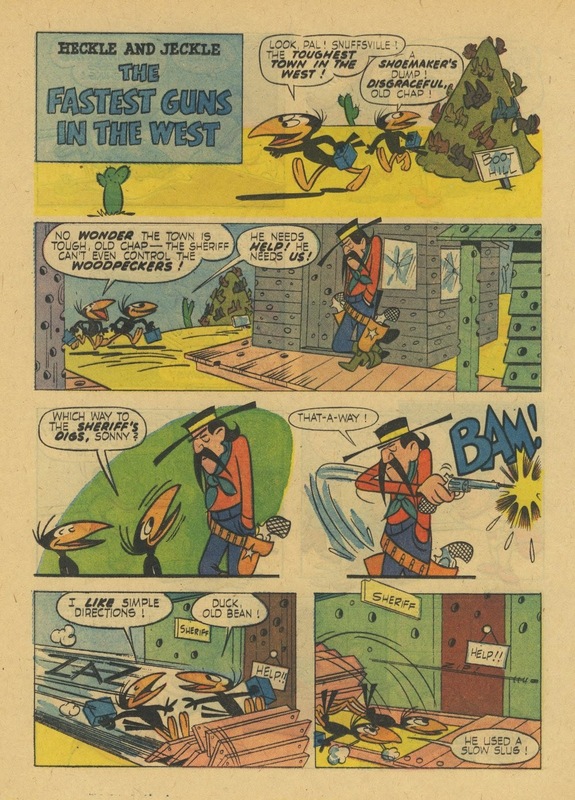 All three stories were reprinted by Gold Key in their revived New Terrytoons title at the close of the '60s. 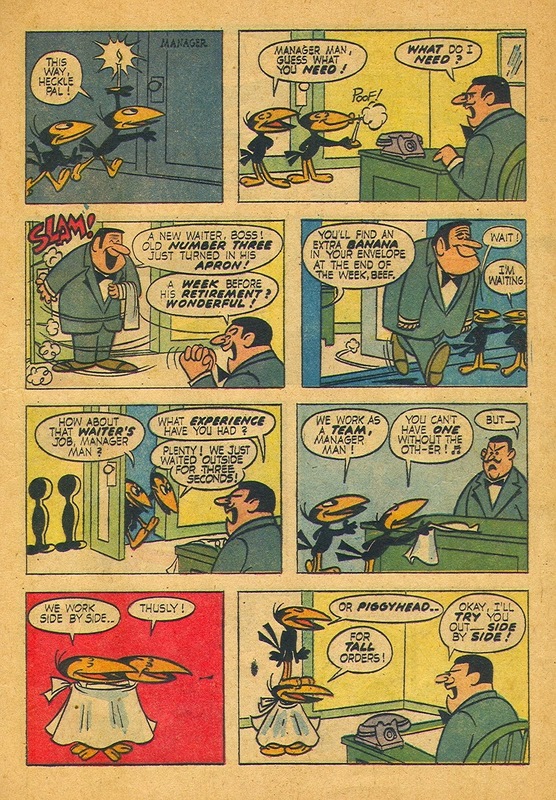 The affect of these stories is so close to Stanley's late work--especially O. G. Whiz--that I forgive myself that mis-assumption. 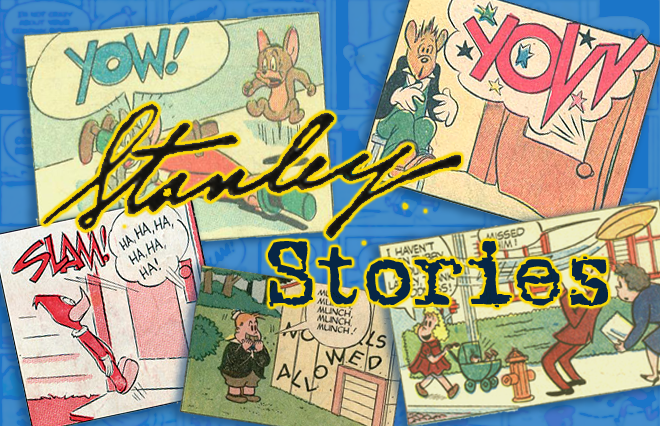 Stanley functioned best when he could free-associate within an unassuming story. 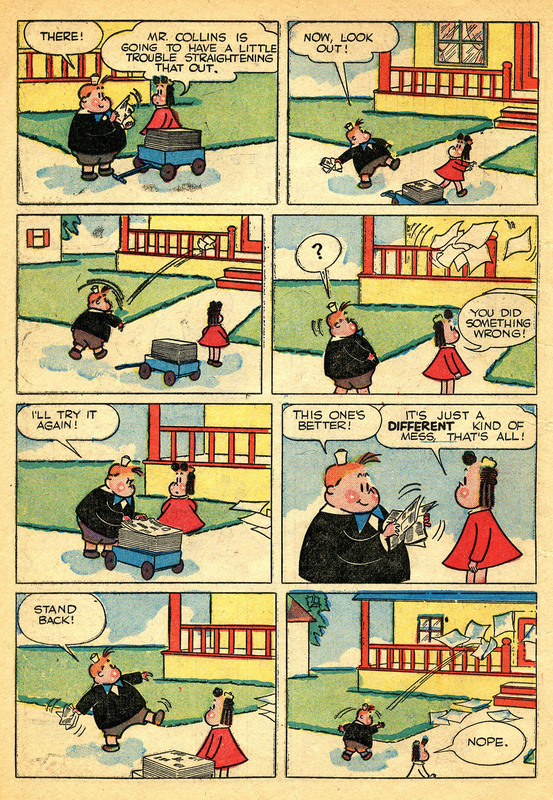 With none of the structure--and stricture--of Little Lulu or Nancy, he has a field day making puns, wordplay and verbal witticisms, and diving into the deep end of his pool of frantic physical action. 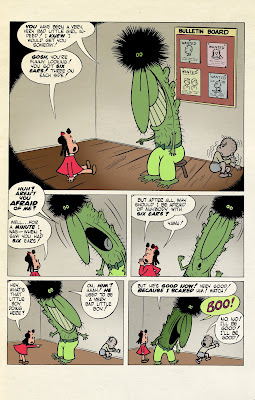 These are, above all else, funny stories, with a playful edge and a bit of bite. 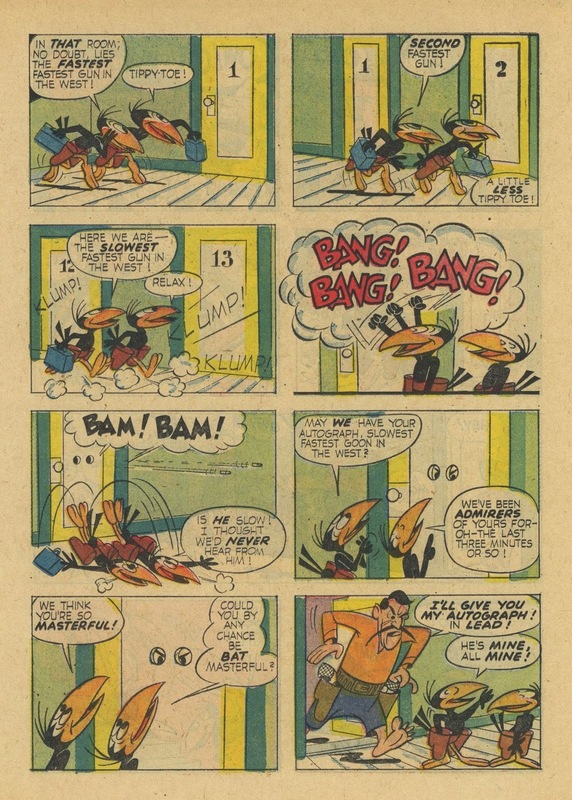 A three-character story, "Fastest Guns" seems bigger due to its large retinue of aggressive sound effects, and a large amount of over-the-top physical comedy. 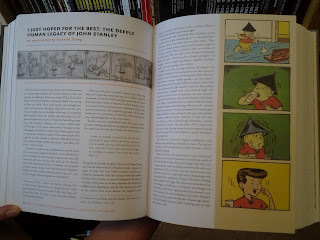 The remaining stories run two pages longer--a sign that someone up there liked Stanley's work. 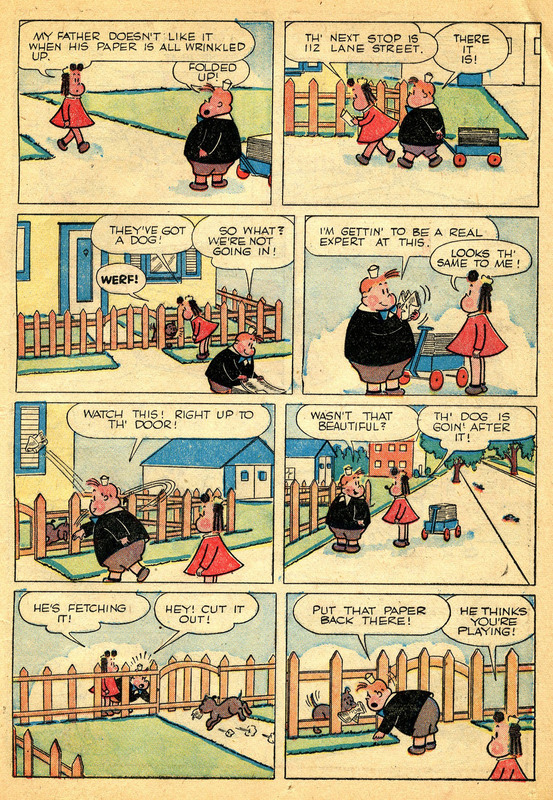 Stanley seldom traffics in social commentary, and his work tends to avoid fads. 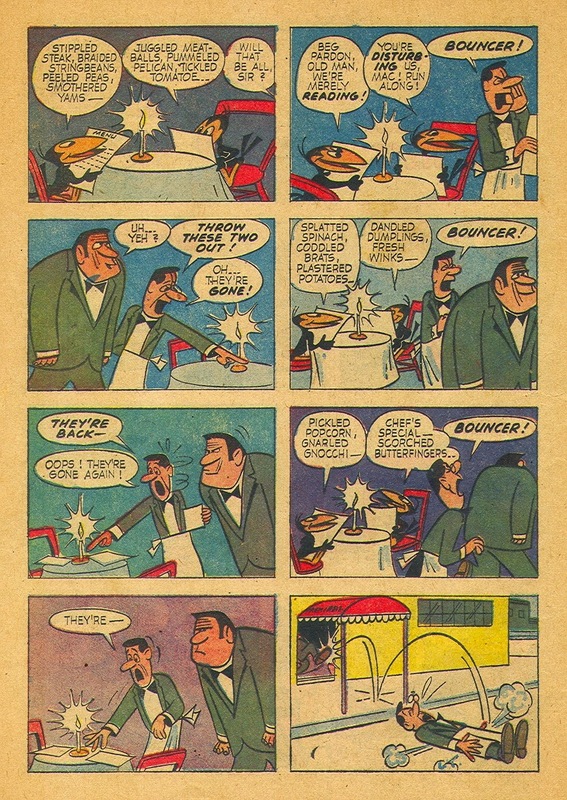 In these few instances of his Cassandra cries, he smites his target with utter accuracy. 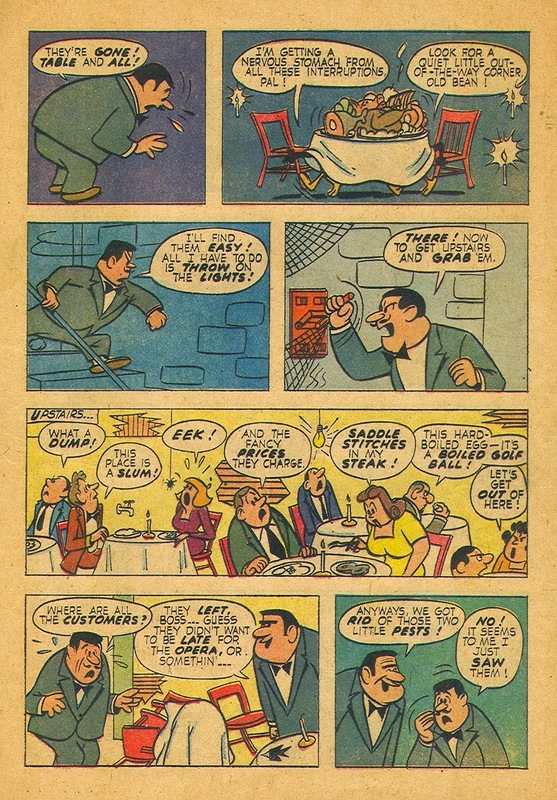 "The Restaurant Business" is a fine example of a focused, witty Stanley staying on-task and wringing every available drop of humor from his cast and setting. 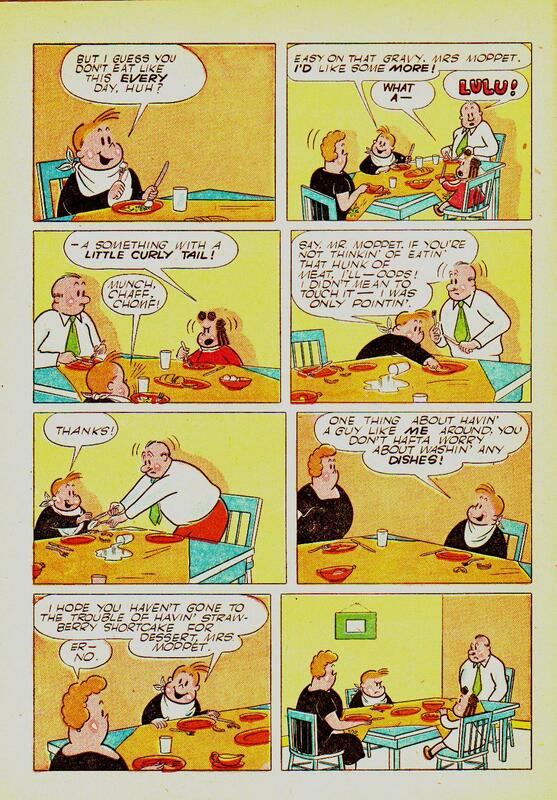 The somewhat blunt and crude look of the artwork detracts from its complete success, but the sheer river of smarts and satire that guides this story is A-game Stanley. 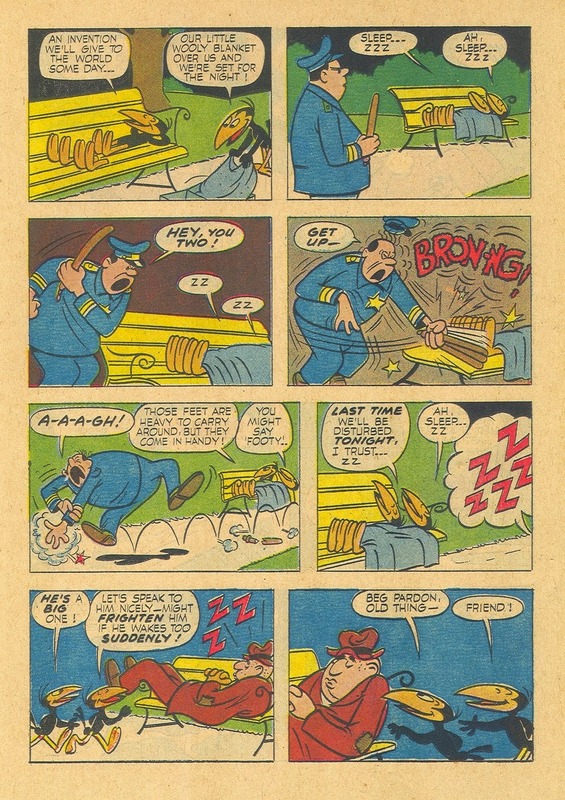 "Illegal Parking" is a shade less effective, although it's a solid example of Stanley riffing off a vague general theme. 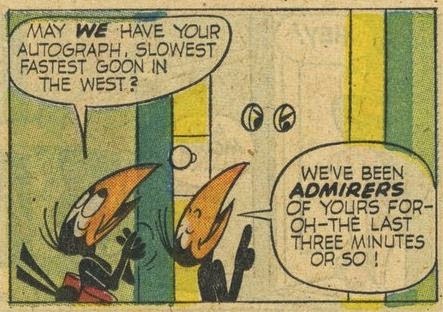 The bright banter of Heckle and Jeckle highlights these three stories, and this one leans most heavily on their verbal humor. We're reminded of the characters Bill Bungle and McOnion, from the contemporary Nancy comics, in the story's best moments, which occur in that arena of human comedy, the public park. 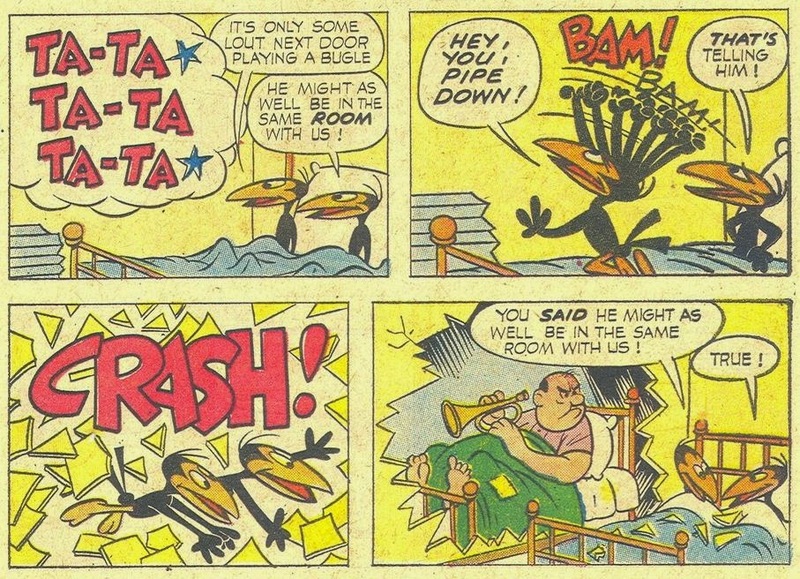 Stanley appears to be having fun in all these stories, especially when his twin gadflies are in motion, double-talking their opponents into stupefaction or angling their way out of a crisis. 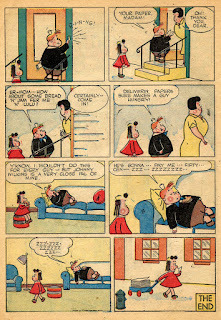 A think-on-his-feet writer, Stanley relished characters of the same ilk. 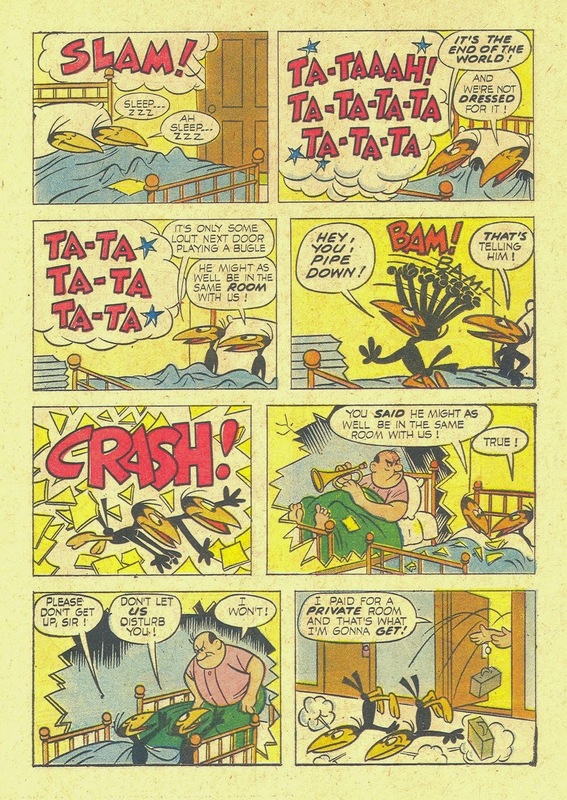 This sequence offers a vivid distillation of Stanley's Space-Age approach to comedy: loud, broad and expressive, with verbal wit layered beneath the big red SFX. 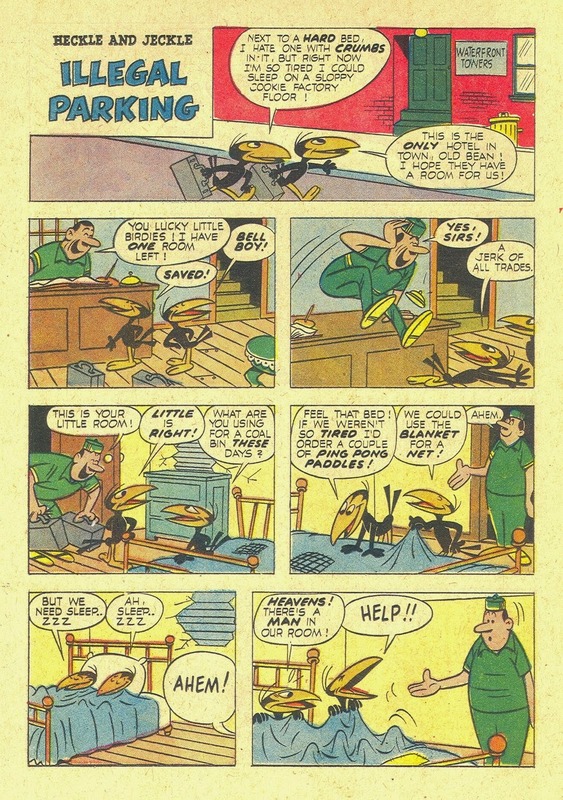 After this story, Stanley transitioned to Dell's new anthology title for the Terry license, New Terrytoons, with its fourth issue. 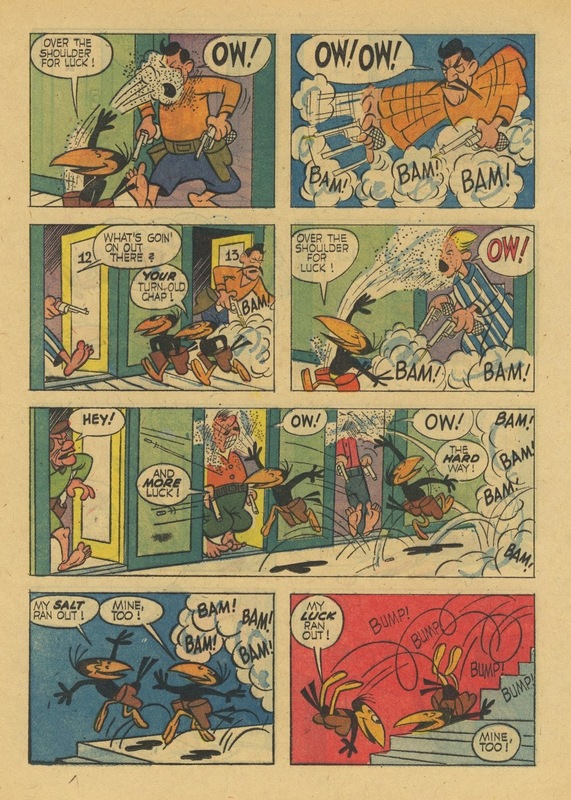 There, he contributed some decent stories, but none of them reach the comedic heights of these first three efforts. 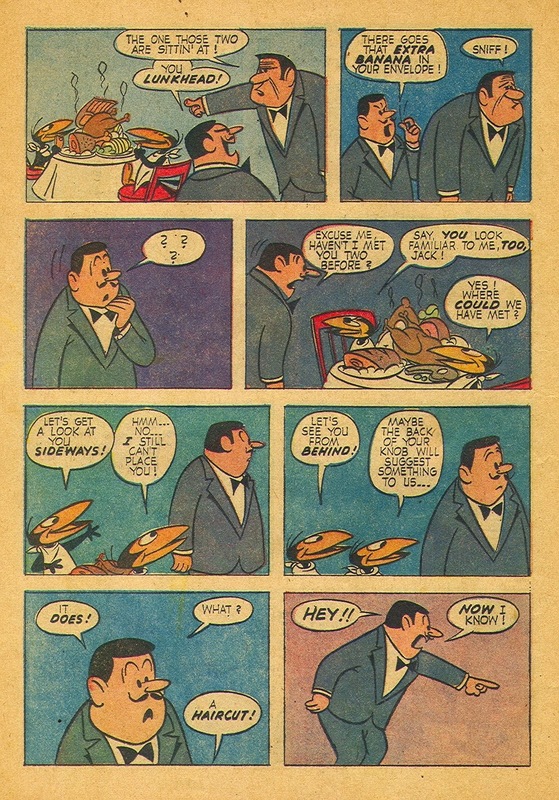 Following the Western/Dell split, in 1962, Stanley wrote no more funny animal comics. 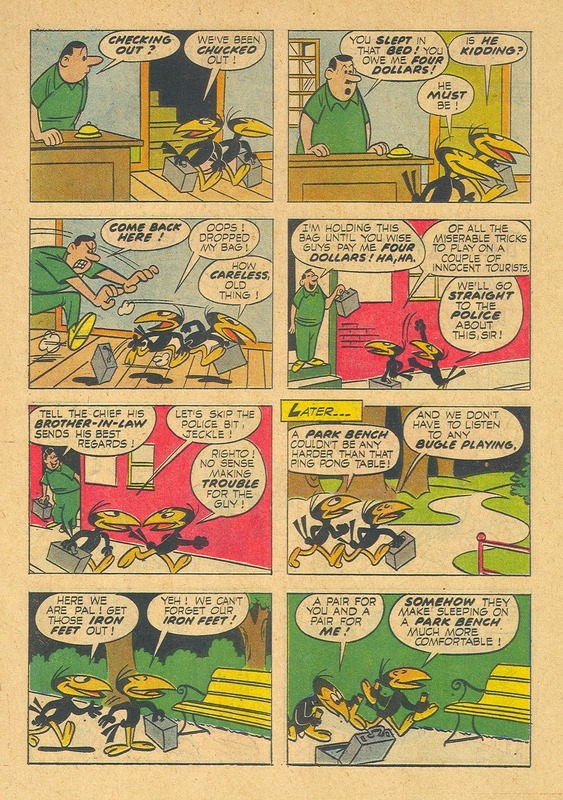 These last pieces circle back to his first published comics work--the funny animal features for New Funnies, Animal Comics and Our Gang Comics. 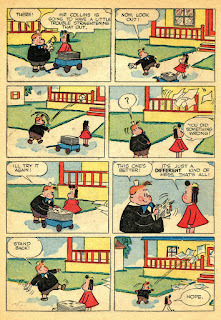 A comparison of that early material with these three pieces shows his startling development as a humorous writer from the 1940s to the late 1950s.